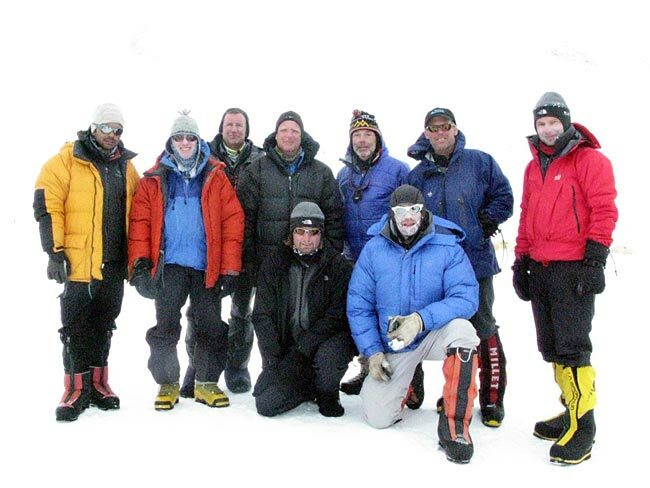 January 4, 2009  I received an email from Phil Ershler at IMG offering me to join an expedition to climb Mount Vinson, the highest mountain in Antarctica. I was to replace another climber who was unable to go. Only trouble was  I had to leave in 36 hours. IMPOSSIBLE!!! Well just maybe... I'm coming. 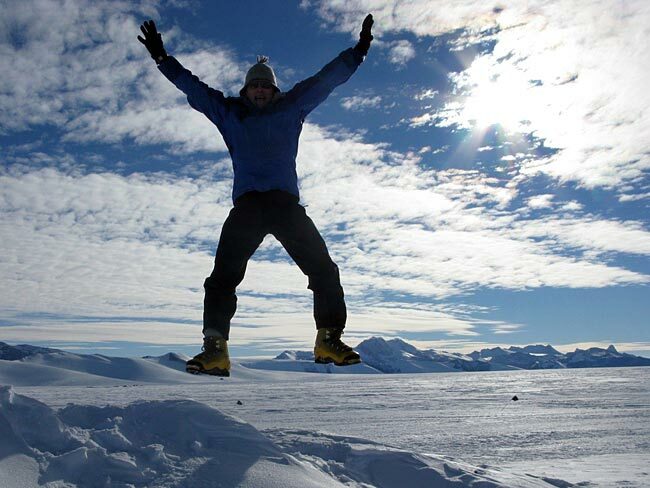 I have wanted to go to the Arctic and Antarctic for a long time. It is just so hard and expensive to get there. The notion of being in such an inhospitable and extreme climate and landscape has always appealed to me. So few people have ever ventured there. 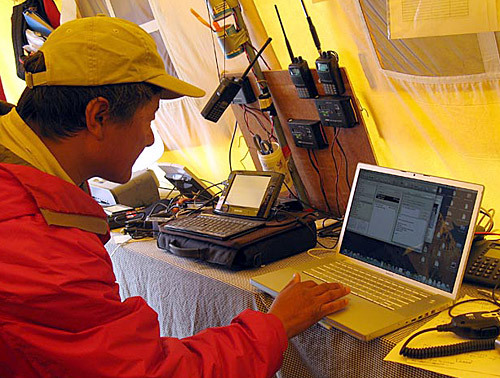 It has so much history and culture of extreme survival and exploration. I had just got back from climbing Cho Oyu in Tibet last September and October, and I had frankly been very lazy with my training. 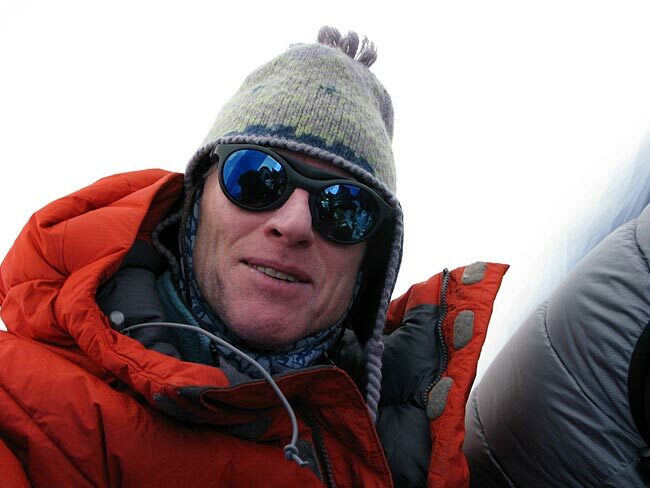 Was I fit enough to climb Vinson at 4897m (16,067ft) in extreme cold? 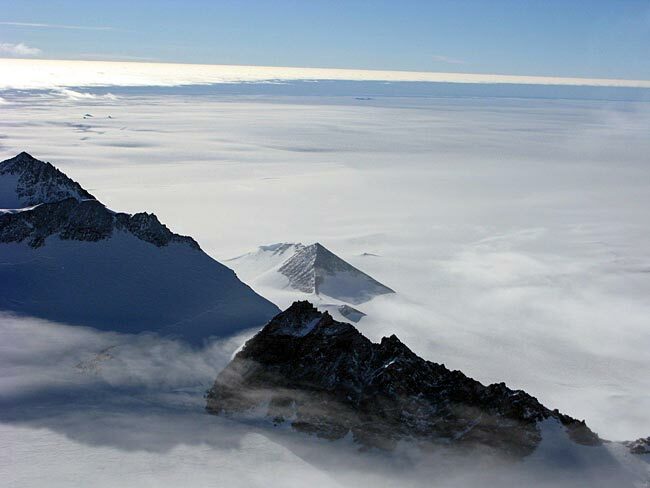 The Vinson Massif is at 78° latitude and only 1190km (700 miles) from the South Pole. It is in the Sentinel Range of the Ellsworth Mountains. 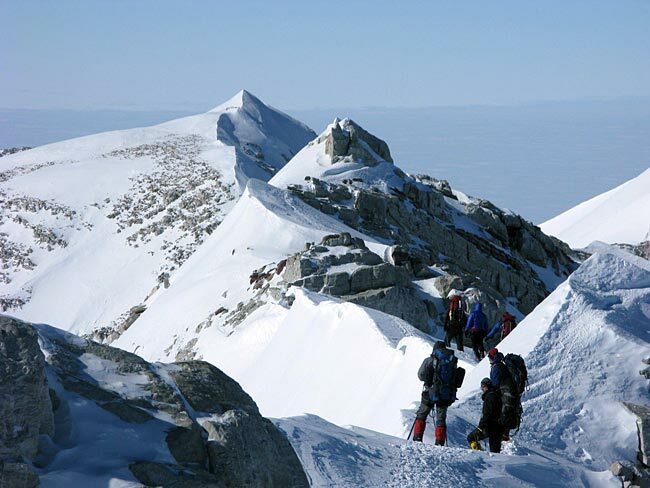 It is also one of the Seven Summits being the highest on the icecap continent. Getting there is difficult and expensive. You need to fly to the most southern tip of Chile  Punta Arenas  then cross your fingers and wait for good weather at both ends before boarding a Russian-built cargo plane, an Ilyushin, to fly you almost 5 hours across the Antarctic Ocean to a desolate, windswept place called Patriot Hills. 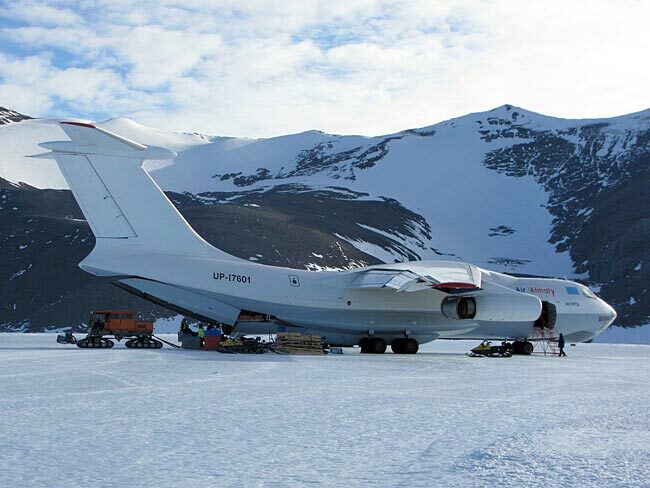 This place is well chosen to land the Ilyushin because it has a natural formed runway. Cross winds descend over the Patriot's leeward side creating a perfectly flat and icy landing strip parallel to the hills. Big problem is the winds need to be very low before the 'Big Bird' can land. On call to fly anytime, we get word after 2½ days to prepare to leave in one hour. It is Monday 9pm, January 12. 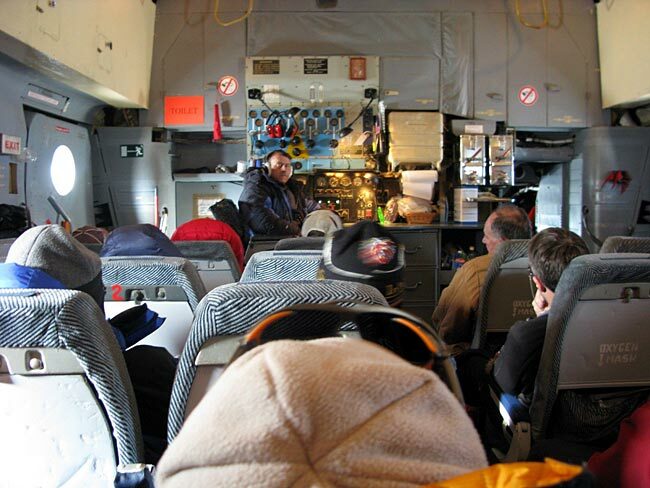 We board the Ilyushin decked out in our mountaineering gear  double plastic boots, down pants and parkas, many layers  and one duffel bag full of crampons, ice ax, harness, glacier goggles, food, tents, etc. We step into a big open cargo hold without windows, with some seats, and full of supplies and gear. 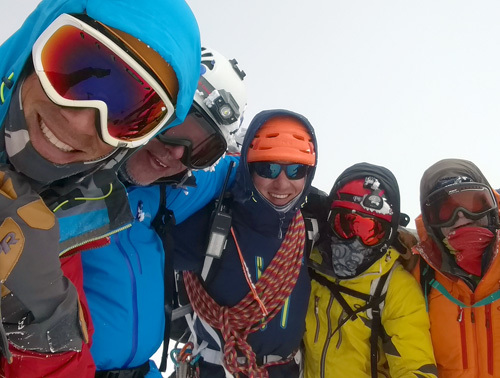 Thirty seven adventurers from all over the world to challenge themselves to ski to the South Pole, to climb Vinson, retrace Ernest Shackleton's 1916 epic of endurance, etc. I am captivated by the rare abundant energy and circumstance emanating in that cargo hold. I have never experienced anything like this before. This is an adventure of a lifetime. My team is multi-national. Two Czechs, 1 Mexican, 1 German, 5 Americans and myself, Canadian. We are all pumped. We land at Patriot hills at 3am. It is sunny and bitterly cold. We eat in the Camp dining tent and put up our own 2-man tents and sleep to 11am. At 1:30pm we are packed and climbing into a Twin Otter en route to Vinson base camp about one hour away. Don't ask me about the views  just look at the pictures. Simply marvelous and pristine. The Sentinel Range stretches for more than 130km (80 miles) and is drawn up like pieces on a chess board against the edge of the greatest sweep of ice in the world  a vast barren dry desert plain, bigger than North America. 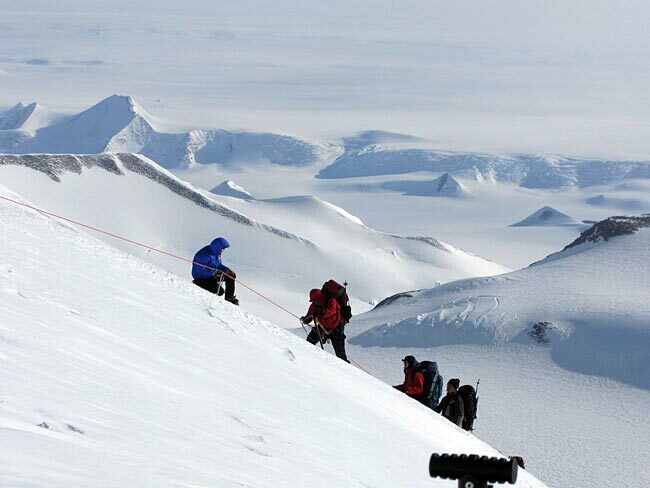 Antarctica is the coldest, most windswept continent on Earth. 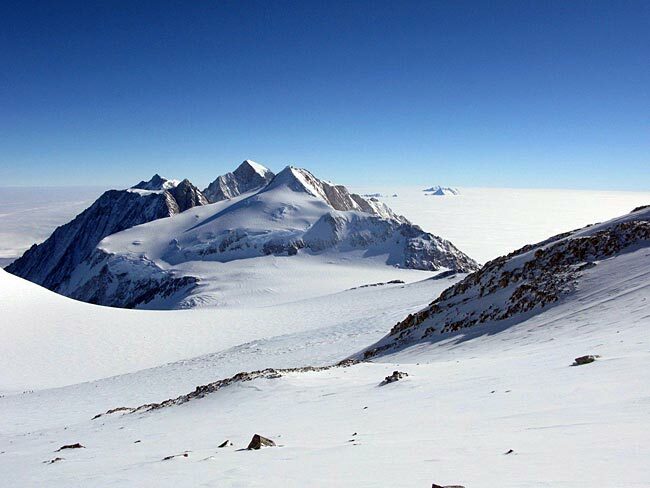 Its mean altitude of 2290m (7,500ft) is three times greater than that of any other land mass, and it holds 90% of the world's ice, which at its deepest lies up to 4776m (15,700ft) thick. 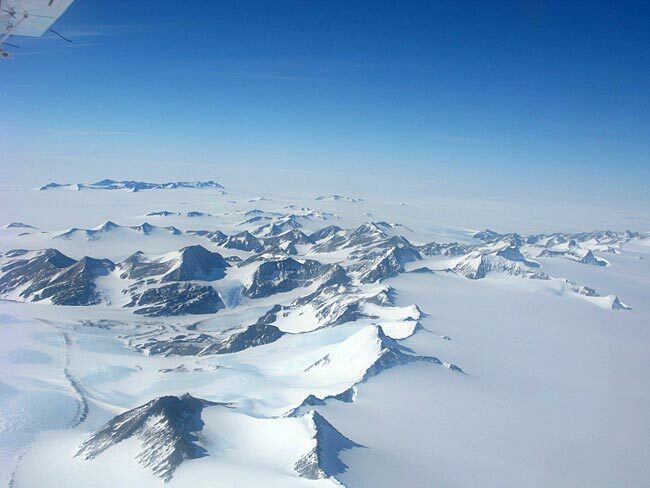 This ice covers the whole continent  only a few mountain tops poke through it. Winds that blow normally at 10-15 knots, can often reach up to 100 knots. 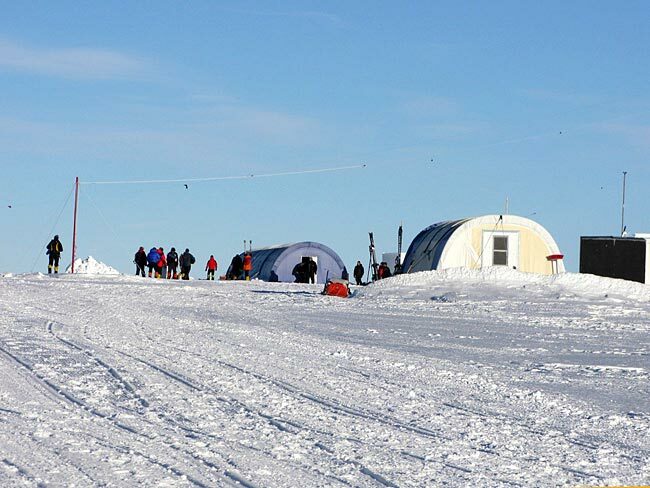 And now, during the Antarctic summer when there is 24 hours of daylight, the sun simply rotates in the sky 360° just above the horizon. 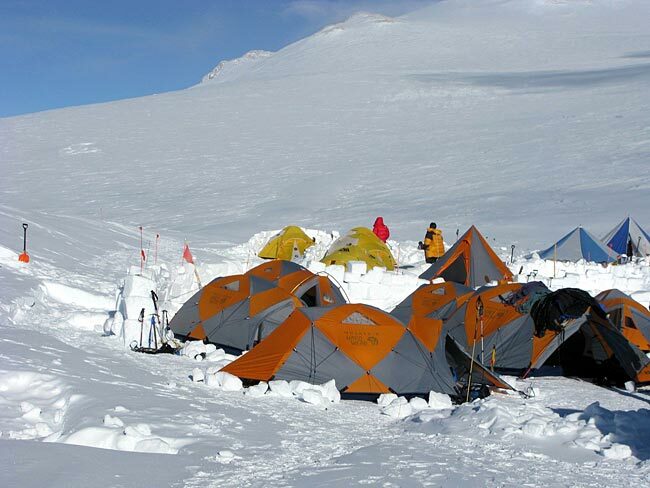 At about 2:30pm we land on the Branscomb Glacier at 2100m (6900ft) and make camp. 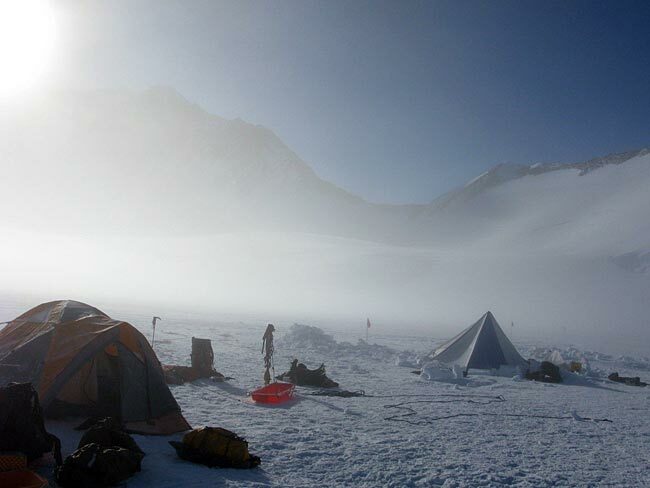 Next morning we saddle up the sleds and haul up to intermediate camp, cache and return to base camp for a 2nd night. 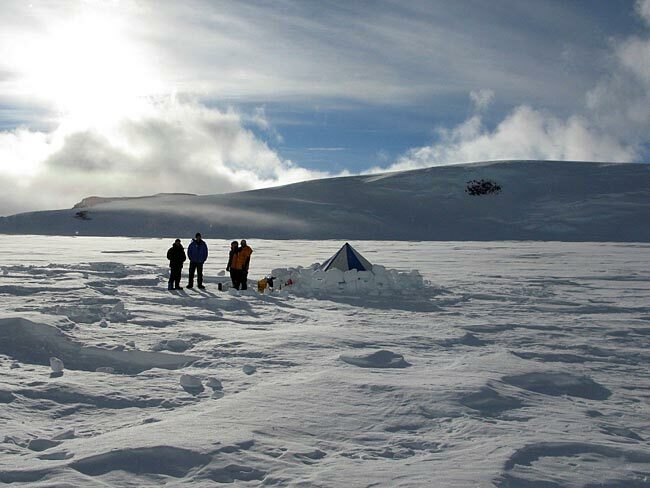 Thursday morning the 15th January, again we load-up all the sleds with the rest of our gear and provisions, pick-up our upper cache, and move to camp 1 at 2700m (8800ft). It is situated on a broad flat plateau covered in sastrugi  furrows or irregularities formed on a snow surface by the wind. We set up our camp and saw out ice blocks from the surface to build walls around our tents in case the weather gets nasty. 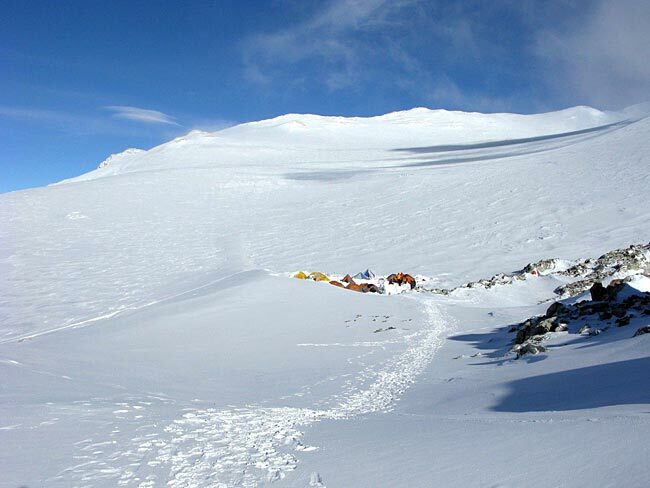 Friday, we load up backpacks with gear and provisions we need at high camp and climb a fairly steep headwall on fixed ropes for about 1200m (4000ft) and cache at a rocky outcrop, then drop back down to C1 for the night. Saturday is a rest day. Sunday we pack up camp and climb up the headwall again to our cache, load up and continue climbing up to a small flat patch thousands of feet directly above our lower camp with outrageous views of Mount Shinn on our right and far below the broad white desert that seems to go to infinity. My breath is taken away. This is living. Whatever happens tomorrow on our summit push, I feel very lucky to be here. Monday, 19th January, 7:45am we rope up in 2 teams of three and 1 of four. The weather is perfect, sunny and warm. 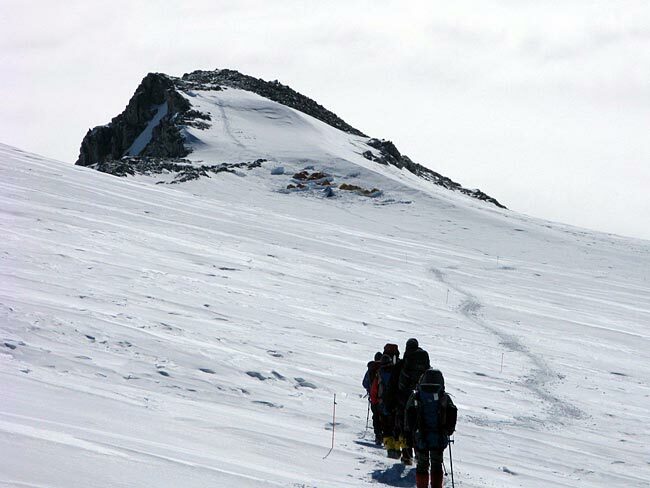 We head out of high camp on a long curving slope until finally over a rise Vinson towers in the distance. It is still kilometers away and yet you feel you can run to it. 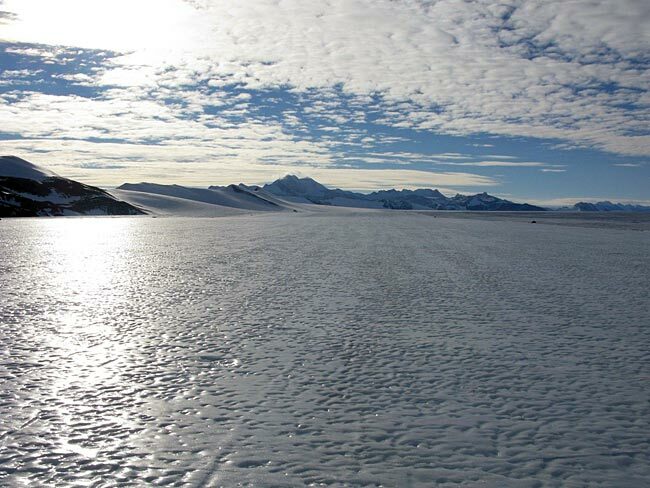 We are in the broad valley of the massif, the intense reflection of the sun on the glacier is unnaturally overheating us in this high altitude polar world. I am supposed to be wearing everything I brought including down, yet I have on only two layers. There is barely any wind. It is so quiet, so peaceful. We push on hour after hour. 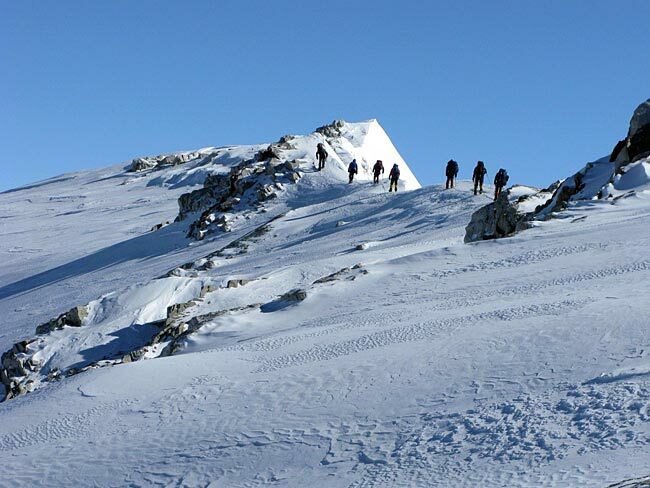 At 3pm, we are just below the final long ridge to the summit. The mountain had looked rounded from below, but now it has become one of the most beautiful summits and ridges I have ever seen. You have to snake up and down and around over rock outcrops and icy ledges to advance forward. This is the fun part. We are so close. We are finally standing on a small table top summit. It is rocky, icy and corniced. We all made it. It is 4pm, January 19th, 2009. We hug, take group photos, laugh, congratulate. 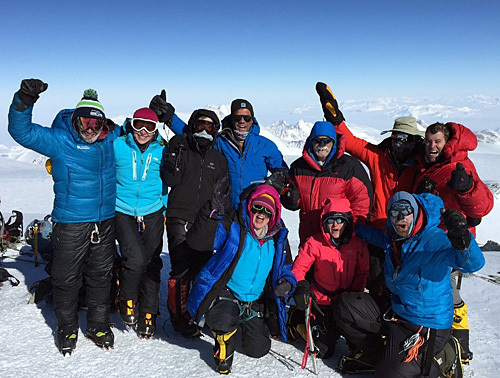 We have made it to the top of this incredible continent. The views have just got even better. It is probably more than -40oC with the 5 to 10 knot wind-chill. Yet in this dry cold it does not feel it. 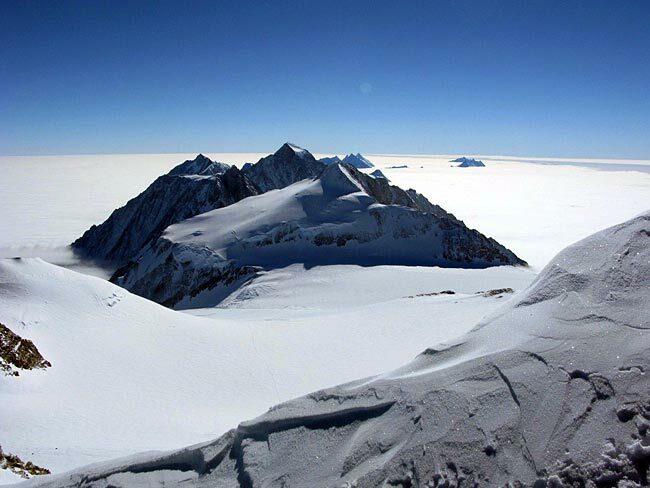 We have not only climbed a very special mountain, this is Antarctica  the most unknown and untouched land on the planet. We are very privileged. I want this moment to last forever. 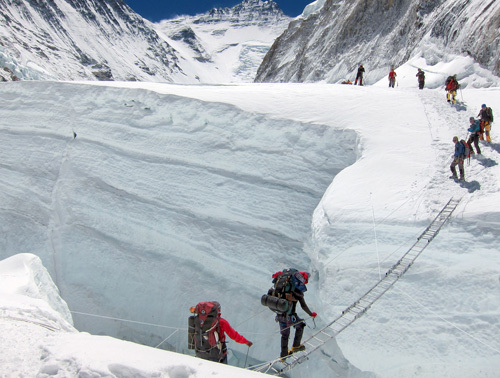 On the long descent back to high camp I got lost in my thoughts about this extraordinary trip and climb. 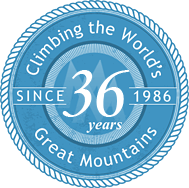 It is definitely not one of the most spectacular and difficult mountains I have climbed. But the mountain is only one part of this great experience. Being here in a land so few have travelled or spoiled. Making your own tracts in the snow. Standing on ice a hundred thousand years old. Sleeping in daylight 24 hours long. Flying in the open cargo hold of the Ilyushin with so many other excited souls. This is what life is about. This will go down as one of my most treasured adventures. Our luck held with weather. Back at base camp on Tuesday, there was heavy cloud cover. No planes could fly. Next morning the skies were perfectly clear. The Twin Otter was coming for us. At Patriot Hills, the news was good and bad. The Ilyushin may leave Punta Arenas at 3pm if the winds decreased a bit more here, but if not, there was a large bank of clouds moving in and we would be stuck here at least for days. At 3pm we heard that 'Big Bird' was in the air. What a sigh. At 9:30pm we took off probably forever leaving this remarkable land behind. The trip may be over but it will never be forgotten. 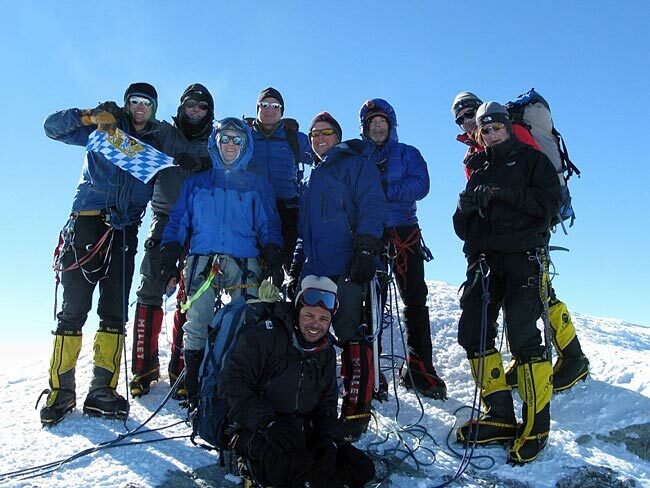 Team members: Dan Garst, American; Mayk Schega, German; Mike Boaz, American; Milos Burysek, Czech; Petr Leidl, Czech; Walt Elrod, American; Moises Nava, Mexican; and myself Theodore Fairhurst, Canadian. 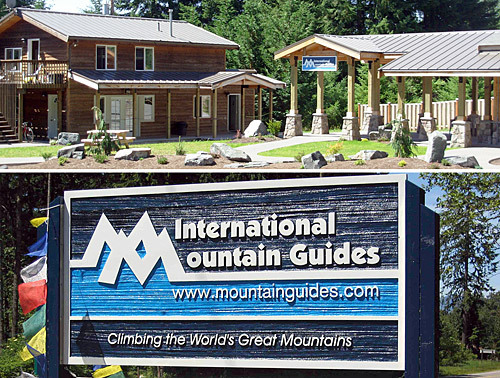 Special acknowledgment to guides: Mike Hamill, American; and Greg Vernovage, American. Mike has a third sense in the mountains. I have known him for years and he has an uncanny ability to pull off the right moment for summit day. But more important, I trust his mountain judgment totally. Greg has a committed determination to make you succeed. Even though he won a gold medal as a 'player' of beach volleyball at Sydney, his eyes shine when he reflects back as a 'coach' of the game. 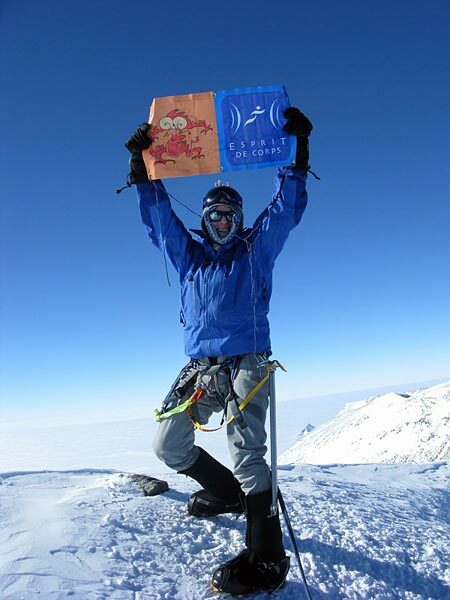 He brings that same energy to mountaineering. 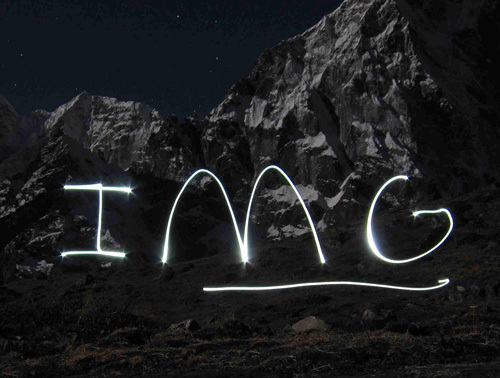 Special gratitude to IMG: Phil Ershler and Eric Simomson for their leadership.